You are here: Home / Anxiety / Sometimes when tragedy strikes, you gotta jump. And go fast. Sometimes when tragedy strikes, you gotta jump. And go fast. This post probably needs a TRIGGER WARNING. See that beautiful little face in that picture? I know that little girl… She is my most precious grand-daughter. She’s a teeny tiny 2 year old, full of all kinds of sparkle. She calls me “Mimi”, and isn’t that the most fun name for a grandma?!! Well….. a horrible tragedy happened yesterday, and I’ll let you know upfront that she is okay — well, she will be okay. Things are not completely okay yet — but the immediate danger appears to be over. I’m not sure I should go into details at this time, so let me say it this way. That sweet little girl was terribly injured by a 120-pound dog, and she now has significant injuries requiring many stitches and staples. She was rushed to the hospital and her wounds were tended right away, so yes, she will be okay, but she has a whole lot of healing to do. So Mimi…. 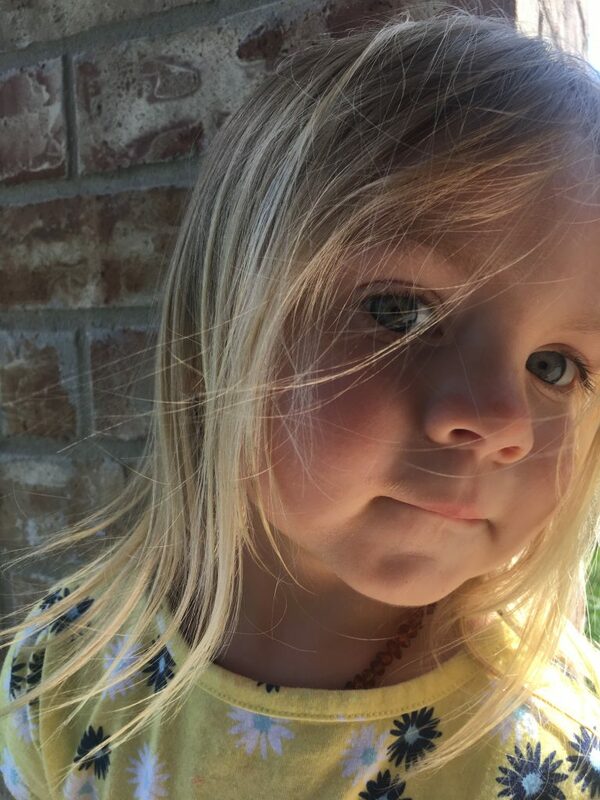 aka Mimi BEAR is jumping on a plane and flying overseas to Texas to help care for this little girl while she needs a whole lot of extra tender, loving care. I am telling you this because I will be a little absorbed in travel time this week. My internet time will be more limited while I’m traveling. I’ll be a little slower at getting your comments moderated, and I’ll be slower with emails, etc. This was obviously an unexpected event, so my jumping over vast oceans and deep blue seas was not pre-planned either. I’m scrambling to get myself from Australia all the way over to Texas as quickly as possible. I’ll catch back up, so please have patience with me. per their usual Monday – Friday schedules. Please write in if you have any concerns. I’ll write more to you later, and I’ll get back with you re: updates. I’m sure I’ll have other thoughts to pass along too, as usual. Seems I often have extra bits to say…. For now, just saying this… sometimes when tragedy strikes, you gotta jump. And go fast. Thank you in advance for your kind thoughts and prayers. Be safe. We hope safe travels for you. I’m so sorry this horrible thing happened to your granddaughter. Thank you for saying she will be okay. We send prayers for her, you, and your family. Take care of you. Godspeed, Kathy. Healing light for you and your family. she is so, so, so lucky to have a family that cares about her. we are praying and praying for her. I’ll be getting on a plane headed for Texas almost exactly 24 hours from right now. Then the travel time itself will be over 24+ hours. I could potentially have some internet time while I’m sitting in layovers in airports, but who knows when I’ll be able to check in for sure. Please know, without a doubt, I’ll be thinking of all kinds of everything, including you…. I’m sure my mind will still be racing all over the place! Thank you, thank you for your kindnesses… your warmth is very much appreciated. I’ll keep you updated as I know more. Watch for friendly waves as I fly over your local areas!! Oh Kathy! Tears here! You are exactly what she needs! You Got This! What a Good Good MiMi! We pray for all of you. She may need emotional healing for years. We are so very Sorry! Go Go Go! We will be waiting for updates as you can. We will be here when you return. We Got Bit once but not this bad! Prayers everyday!!! Oh we crying for her! Hugs Hugs Hugs! My heart goes out to you and your precious little grand-daughter. You will be such an immense comfort and support to her and her parents. Our love and positive, healing energy goes out to you and your loved ones. Safe journey and God speed. Please take good care of yourself and your family. We’ll be thinking of you. Stay safe and get all the hugs you need from your loved ones. Your grand-daughter is adorable! She has your nose and oh-so, gorgeous, big eyes. She’s beautiful like grandma! Aren’t you so blessed! What a relief she survived, is going to be well, and that you are able to go and be of help! I pray for all the highest and best that can come from this most unfortunate situation, for everyone involved. Take care of yourself along the way. Sending love, healing prayers, visualizations, and distance-Reiki, now, and whenever I think of you and yours! Godspeed! that wud be so nise. That’s terrifying! I’m glad she’ll be ok and that she will have lots of support (and that her parents will too! It must be awful and exhausting for them). It’s kind of you to think to let people here know. All the best for you and your little, lovely, nice grand-daughter! What a terrible accident! Thinking of you all..and wishing you all together the very best!! Hello hello from Texas !! I made it safely, and I’ve had a little time to rest, get “sorta” settled, and have some time to check in with some of what’s been happening. My little grand-daughter is healing up well — the whole process is quite an ordeal — so it’s not yet “trauma free” for her, but we’ll be working on that, and doing everything possible to help her be comfortable as possible. She’s a strong little bear tho’, and I’m very proud of her. So far, she’s doing better than anyone expected !! She’s still quite restricted on what she can do each day, so my biggest task now is to come up with about a zillion activities and fun things to do with a 2-year old who has to stay indoors, not run, not jump, not be physically active, not sweat, not be around other children (all needed for healing and to reduce the risk of infection), but she, of course, still needs to be entertained and/or given interesting tasks. Her booboo’s are very tender and painful, so giving her something fun to do and something nice to think about is important. Maybe your little ones will have some good ideas to share ??!!! ??!! What fun activities do your littlest ones like to do? THANK YOU — everyone — for your very kind thoughts, and comments, prayers, and well wishes. I very much do hear you, and I appreciate that. Jessie — let me see if I can answer some of your questions as I’m sure lots of people might wanna know the same kinds of things. 1. The dog — according to the laws of where he lives — does not have to be put down, but has been put into quarantine for at least a week. I’m not exactly sure what happens next, but I think if he gets re-homed, it will be to a specialized place far away from children. The dog’s own family home also has a very young child, just a year old, so… I don’t think the dog will get to return ever to that home. 2. Yes, he was a family pet, so that is very very sad, because we know the family that loved him. It’s very tragic, because well …,. I think lots of us here at DD know how hard it is to lose a beloved pet. I’m not happy with that dog, but it’s very very sad for the family who loved their dog. 3. I’m quite sure the dog was very well cared for, and was not rabid. I don’t think he was trained to be aggressive. He just kinda was aggressive. 4. Coming from a real dog-oriented family, my little grand-daughter has already had lots n lots of exposure to dogs, including big dogs. One of the things she says is that HER doggie will go get that “bad doggie”, and we’ve been going along with her on that idea because we want her to still believe that dogs are good. We’ve been spending plenty of time with her doggie and I’ve been thinking about other ways to let her spend time with dogs or animals to help prevent any fear from settling in too deep. You are right, Jessie — and we’ll try to help lower her anxiety best we can. Hey KBear! Good to see you made it all the way from down under to be by her side! Hope the travel wasn’t too exhaustive. LOL. I was just thinking about that…Australia is 15-16 hour time difference ?? And it took about that to get to TX ?? And the jet lag must have been terrible. The time thing messes with our head, but, you could have gotten on a plane, landed in TX, slept for a long time, and got up with only missing a few hours. ?? Um. How did all that go? We are very curious. Seems so strange. Sorta. Plus, isn’t it winter in Australia? How’s the TX heat? LOL. We’re in OK, so we know…just having fun kidding around. So happy to hear she is doing better than anyone expected. Are any of the scars in places that she may eventually feel self-conscious about? face, arms, etc. She sounds strong. Happy to see your post. Keep us updated. Take care. Thank you so much for taking the time to update us on your travels and, most especially, how your precious little one is doing. I am so happy to know that she is doing better than expected and that she is actually interacting with other dogs and building healing, safe scenarios around dogs (i.e., her doggie protecting her from the bad dog). That is super healthy work. Not all dogs are bad but it is good to be cautious around some dogs, none-the-less. Now, just a small reflection on helping your granddaughter through her trauma. My DID began in earnest when I went through a series of hospitalizations when I was 3½ years old. The trauma for me was not so much the physical pain but the terror of abandonment and not being heard. My personal take on this is just spending time with your granddaughter doing whatever activities that work (to keep her amused and healing safe), hugs and cuddles (without smothering and overdoing it … just your regular loving presence) and listening to her when she wants to talk about the trauma. Don’t ignore it, brush it under the carpet or minimize it. Of course all the while not making it more than SHE feels it. Let her set the agenda on how much she wants to talk about it being mindful of her hiding her feelings (she will be very in tune if she feels the it is upsetting the big people in her life to talk about it). A fine balance for sure. And do not lie to her. Obviously speak to her in terms appropriate to her age but be honest with her. Kids have a built in radar for untruth. Well … you know all of this already Kathy … just supporting you here. Hum ideas to amuse a 2 year old in a safe, mindful way due to her injuries … well, that is a tough one so I asked my little one Squirrel what she would recommend. Here re some of her ideas. – Daily tea party with all of her stuffed animals. You can dress up with scarves and hats and set out some favourite snacks etc. You could actually make a project out of picking out a different cookie or snack (crackers are always a great snack base) recipe to make each day with lots of options for decorating the cookies/snacks (i.e. sprinkles of all kinds for the cookies or funny things like pickles and fruits and veggies to make funny faces or designs on the snacks). – Colouring is always fun and finger painting but that might not work depending on where her booboos are. You could get plastic gloves (the really thin kind like they use in restaurants) if she would keep them on. What we suggest is to get a big roll of brown packing paper so she has a huge canvas to work on. You can roll out a big sheet of the paper and away she goes. You can also have her lay down on the paper and trace her whole body and then she can colour it in. Another time it could be all feet or hands traced all over the paper. – My folks like crafts with all kinds of things to glue on paper. This could just be all kinds of different coloured pieces of paper cut into different shapes. Stickers are a big favourite with my gang. – Beads are always a big thing with my folks as well. You can get really big beads appropriate to her age that have different colours and shapes. The two of you could make jewelry or sun catchers or just fun strings of beads. – Often kids just like to play with filling things up with sand or water or something similar. Now this will not work with your granddaughter booboos so you could just get a whole bunch of coloured pasta instead. Get a big flat pan/pale/whatever, dump in the pasta and a have a bunch of different containers and spoons for her to fill up. Well a couple ideas for now. I am so happy to know that you are in Texas safe and sound and with your sweet little one. I know that she is going to be just fine now that her Mimi is with her. Oh and Mimi, take good care of yourself as well. The trauma is felt by everyone in her loving circle. Be gentle and compassionate with yourself as you navigate through your trauma seeing your precious little one hurt and struggling. Sending you, your granddaughter and her parents tons of healing, happy energy. If there is anything that we can do to help, just shout. You are always so good about telling others in our community here that they are not alone well … you are not alone either Kathy. You have our warm, caring hugs; supportive, healing thoughts; and earnest prayers with you. Paper dolls can be fun, especially all the different people and animals that you can “dress up”. Stickers and stamps are good too. I like Baby’s idea of a book. It can be a good way to work through difficulties because it ends the way the author desires. It reminds me of when my son (age 5), was in an serious auto accident. He “wrote” a story about a tornado and an airplane, creating the illustrations. His words were recorded and printed out. His story was scary, yet everyone was safe in the end. He was very proud of his book and showed many house visitors. I saw how healing it was for him to tell his story, feel heard, and safe. Something I aspire to achieve. We are mid-process of writing a little Bear story related to this whole incident. She’s only 2, so she can’t yet write it herself — needless to say, I hope it turns out as well as your son’s story. We r glad ur grandoter is getin betr. We pray for her to. Ur so nis to go help her rit away! KB! Praying for all y’all! Holla if you need anything! I need to know something, Miss Kathy. Did the owners of that dog sick it on her? Did she do something that made that happen? Did it happen on purpose? did they do that to her on purpose? did she do something bad? we are dizzy very sick. we need to know these answers. if it happened to her on purpose and you are her grandma do you know they did it on purpose? should we be afraid of you? is all this a trick? are you tricking us into telling our stories? we dont really know you. there is something really wrong with me. im scared of whats inside my head. These are important questions, C4B, and I’m okay with answering them. And no, of course, you are not in trouble for asking. It’s okay to check things out. First of all, absolutely no no no — the owners did not send the dog to get the little one. Not at all — there was nothing at all planned or intentional about what happened. This was an accident, and there was nothing “on purpose” about it — not any bit at all. Everybody was devastated that such a horrible thing happened, and no one anywhere was happy about it. The real owner of the dog thought his dog was tucked outside, outside somewhere, not in the house, safely away from everyone. He wanted the dog away from everyone, and thought he had made that clear. However, someone else in the house misunderstood about little ones coming into the house, and that person mistakenly let the dog back inside. Maybe he thought he was helping the dog get into air conditioning and not be in the Texas heat — I don’t know. But for some reason, that person let the dog back inside the house. Then when the ladies walked in with children, they thought it was safe to come inside. They thought the dog was still outside, not inside. Two ladies and 3 children walked in the door together. They were inside the house for about 45 seconds when the accident occurred, and just a few feet from the door. The lady was tending to the 2 younger children in front of her, and the 2-yr old was standing behind her. No one saw the dog sneak quietly into the area behind everyone — they didn’t know the dog was back there until the accident occurred. No one saw or heard the dog reach the little girl, so we don’t know how it started. However, the little girl really really likes dogs, so she may have tried to pet him or say hello somehow. We don’t know, and the little one hasn’t said. I am very sure the little girl didn’t do anything wrong. She is not in trouble, and she did not need a lesson. She did not need to be hurt, and she was not bad. It is not bad to be friendly to animals. It is okay to say hi to animals. This dog was just very grouchy, and clearly, he was out of sorts and wasn’t feeling okay. For you C4B and everyone reading here at this writing place you most certainly do not need to be afraid of me, Kathy. What I have shown you is that when a child gets hurt, it is important to help the child. I made very big changes in my life to be able to quickly come help the little girl. I flew on airplanes for 24+ hours to get here as quickly as I could so I could help. That’s not scary — that’s an example of helping children when they are hurt, no matter what else you are doing. Helping the children be okay is the most important. There is no trick. This is me showing you that I understand certain things about trauma, and I am trying to teach helpful ideas by showing you a good example of what is supposed to happen. I could post pictures to “prove” what I am talking about, re: the little girls injuries, but those would be too upsetting to show on a blog post so I am not going to show those. The C4B, you are not crazy or psychotic. You’ve asked important questions, and what I hear in between your questions, is that you have been treated in some very terrible ways by the people who hurt you. Maybe this situation with my granddaughter has triggered some memories for your system of people. It sounds to me like some of your inside people are thinking about situations where they have been hurt. They probably need to talk more about what has happened to them, and to even more about helping the ones who have been wounded. I am sorry to hear that your C4B folks have been hurt in such ways — that was not okay for those mean folks to do that to you. She went in the ambulance right away to a very good hospital and the medical people helped to fix her wounds and to help her not have so much pain. The little girl had to get lots of stitches and staples to close her wounds back. She had some extra tests to check for broken bones, etc, and thankfully, none of her bones were broken. She was given lots of antibiotics and medicine for her wounds to make sure she doesn’t get any infection. She got to go back to her own house, and for 2 weeks, she has to play quietly inside the house, and not get in the heat, and not run or jump, and not be around any other children, or in public places where she might get more exposure to germs or infection. She got to have her Mimi come stay with her, and she has some new toys like play dough and coloring books and a new doll and balloons and bubbles. Later this week, she will go back to the nice doctor person who will check her injuries again and see how she is doing. She looks to be healing up really really well, and I think we have been able to keep that terrible infection risk far far away from her. I can go in more detail, if you need me to, but I am also trying to be careful to not trigger the people who are reading. But yes, you (or anyone) can ask any other questions that you want to ask. Kathy, thanks for explanation that you are helping hurt child. That gives us perspective. Yay for helping hurt child!!!!! Sissy as 4 grandchild and we take care of them M-f 3 boys and 1 girl. Izzie and her mom live with us. the oldest he his will be 6 in Dec, his brother will be 3 in Nov, the newest brother will be 1 in Oct, and Izzie 3 in April. we use to have lots of fun. Baby was always good at know all the needs. Baby doesn’t come out to help much anymore. when she did help we did all kind of fun stuff. like make a fort. we would just cover the dinning room tale with a big blanket put pillows and toys under a play sometime i Jessie would read to them all. sometimes we would play with play-do and make food and bake it in our toy kitchen. Lori has all sorts of fun stuff for Sissy grand babies linking logs , legos, and we would build towns and drive through them with the toy cars. sometimes one will sit on Lori lap and watch her sew on the machine. we have decorated wood frame for gifts , thatch another mod podge thing when we did it with bottoms we used the mod podge as the glue and sealer. i wish Baby would come back out a play with all of us when the grand babies are here. Kathy now let me ask you a question. how do we Get Baby to understand that the littlest Brother is not the reason Joe Died. She thinks that Sissy / Lori husband died because the Baby was born. she thinks this because every time people die someone new is born. and because the little almost wast going to be born that Joe gave his life to let the baby live . what she not understand that the baby was already 4 weeks old in its Mommy tummy. she stomps her feet and screams yes its true. “if Joseph didn’t die then the Esca would be here” we need Baby to come back out and play with the grandbabies are here. she good with them and they miss all the fun stuff she would do with them. I am hoping your family and granddaughter are surrounded by tons of love and healing right now. Thank you for your very kind thoughts — I appreciate your warmth and gentleness. Yes, healing is definitely happening — I’m so thankful. While I’m saying hello to you, let me also welcome you to Discussing Dissociation, and I hope you feeling comfortable joining in with the community here. Please feel free to comment more at any time. We’re just catching up after being ill and are so sorry to hear about what has happened. Leaving you and your granddaughter a big ol’ pile of the most gentle, warm hugs. You and your family are in our thoughts. Home made kid paint t shirts. Very easy and kids will spend hours doing this. Lots of activities you can do with kid friendly paint. Shaving crea, milk and food coloring too. Can you tell we are in a colorful mood? Wow … great ideas for little ones. I am thinking of using many of these ideas with my little ones (my insiders and my outside granddaughter). I am wondering too if I can use Sarah D.’s story book idea with my insiders. I am going to try it out. Out of tragedy comes so much healing in unexpected ways. Hi Kathy Tilly here . Ive sent you a pm on facebook and didnt even look at date this happened !! Im sorry Time for us is not a strong suit at all as it doesnt exist inside. How is your grandbaby now ? Thank you so much for your very kind thoughts. I understand the whole time confusion thingy and you are plenty “in time” enough for this. The incident was just last weekend — well, 12 days ago now. So still very very recent. Everyone is getting a little better…. Lots has happened (for the good), and I’m about to post a brand new update for everyone, so please look for my next post in this thread. Thanks again — I appreciate hearing from you. C4B, I’m so sorry for what sick people did to you. I hope you are feeling better. 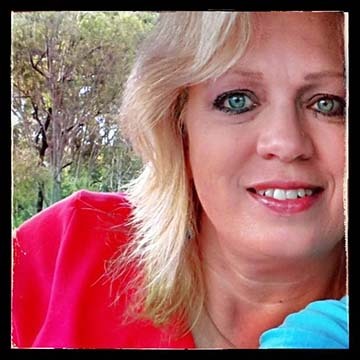 Kathy, thank you for responding to C4B… so thoughtful and caring of you to take the time. The whole thing made me cry. And thank you for the updates. I’m relieved to know all is going well, slowly but surely. I sent more distance-Reiki, this morning (around 10-10:10 a.m. your time). I am a beginner, though am a believer in the power within us, and that infinite possibilities abound. how her be doing this week? her geting beter? i stil be weryd bot her. Checking in to say, I am sorry Cathy for granddaughter’s accident. I hope her wounds heal quickly. It is awesome that you went to see her. One of my parts is wishing we could drive to Texas and meet you in person. We live in Iowa, so it would be quite a drive. I’m happy to announce that the little one is doing really well and healing up as good as possible. She has more healing to do, of course, but the worst of the first part is over. She’s really doing as well as possible, if you ask me! Thank goodness…. And… because the scariest part is over now, and I’ve done what I needed to do to help, I’ve now flown back down to Australia. I’ll need a little bit to get myself grounded back to the day-night/night-day flip of being on the other side of the world, but I’m here, and I’ll be getting myself back to work asap. Besides…. I’ve got some exciting news to share with you…. ! You’ll be hearing more from me soon, and seriously…. thank you so much for all your kindnesses….. I am so glad to hear that the worst part is over. More healing left to do I am sure. I will keep your precious little one and her parents in my thoughts and prayers. Thank you for letting us know about her progress. And … you are home in Australia!!! Glad to hear that. Take your time getting grounded and be patient, understanding and kind with yourself. Remember that Mimi has been through a trauma too! Oh … you had to throw in a teaser about “some exciting news to share with you”. My insiders are jumping around all excited now … hahahahaha. Just breath and sleep and walk on the beach! You are moving back to the States? You are opening a forum? Okay, maybe we need to wait and not guess. Good to hear your grand-daughter is doing well and that you are home safe. Look forward to hearing about the exciting news. Thanks, Jen. It’s good to hear from you. It was all so very scary at first — so much to do, even when checking for damages. It’s scary enough as an adult, but how do you explain to a very young child why they need to stick their head inside this big huge loud scanning thing? The medical team were appropriately checking for damages to her skull, but gosh, that’s still terrifying for a child, even if it’s meant to be helpful and necessary for accurate medical treatment. And IV’s…. how do you explain to a very young child that being stuck with an IV and keeping that pokey thingy stuck in your arm is a good thing? (especially when it took repeated efforts to find a vein.. grrrr!). It was a big traumatic event full of many other traumatic events, that’s for sure. All while the medical injuries were addressed, we still had the emotional injuries to address as well — and ongoing, too, of course. Healing is such a complicated process! It was definitely a team effort and I’m really proud of how my son and his wife handled the whole thing too. We were all so very very aware of the importance of addressing the situation as helpfully as possible, and we took a lot of time to think about how to do that, so you know… it only made sense to share some of what helped this little one with other folks who have also experienced childhood injuries. Thanks for your very kind sentiments – much appreciated. kathy, how very scary! we are praying for your sweet, precious granddaughter! we are so happy you could jump up and go to be with her. it makes us feel happy inside knowing there are real people who go to help, hug and love when things are really bad and scary. you are a wonderful example to all.